If you want to keep your lawn healthy and green, then water- ing is important. Warm temperatures will rapidly dry out the soil of a lawn. – Use water or sprinkle 1 inch of water per week, and even more when it is hot. – If you have an irrigation system, set it to run in the early morning and make sure it is finished by 8:00am. – If you don’t have an irrigation system, water anytime. Try to avoid watering when evaporation will occur due to of wind or sunshine. 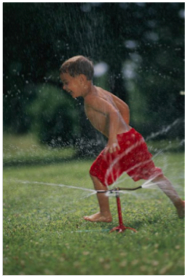 Watering during these times won’t harm your lawn, but is just less efficient. 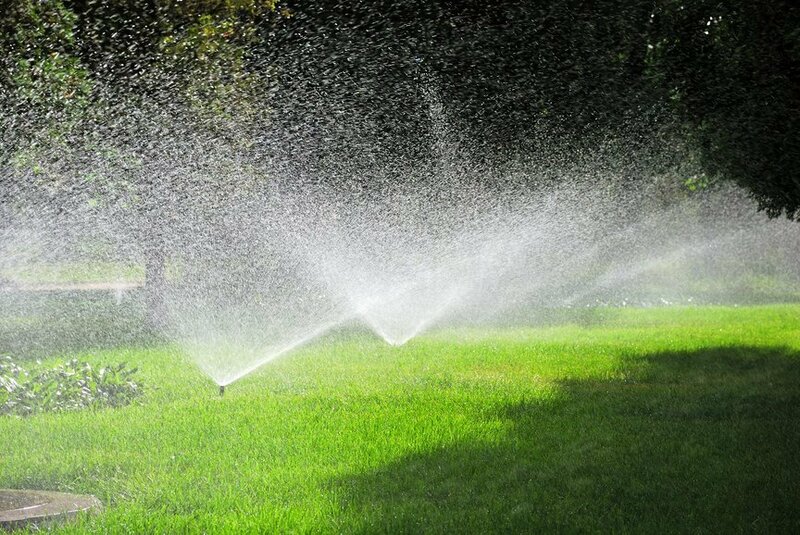 – If you are unable to water, mow your lawn as high as possible and only when it needs it. Keeping your grass longer will help prevent the lawn from drying out. 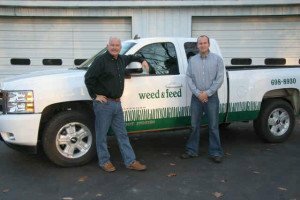 – Try to begin watering your lawn before it turns brown and becomes dormant. – If you mow your lawn shorter than 3 inches, then your lawn can dry out quickly. Mowing too short causes increased stress to your turf and encourages diseases, weeds, and crab- grass. Your lawn should be mowed between 3 and 3.5 inches. During the summer months, move toward the higher mowing heights, as this will help your lawn retain more moisture. Every lawn is different. There are many factors to consider when deciding how much to water: How hot is it? Is the lawn shady or sunny? Is the soil type clay or sand? Is the humidity high or low? 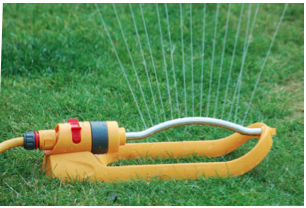 With trial and error, we’re confident you can determine when and how much to water your lawn.